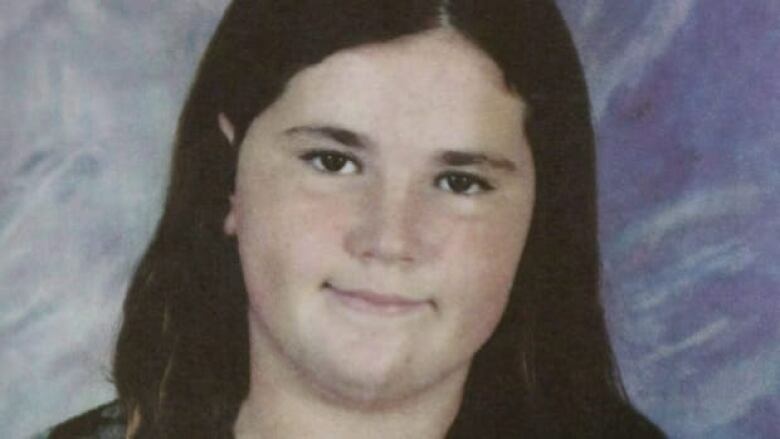 Corrections Canada has applied for a sweeping publication ban at the coroner's inquest into the 2007 death of troubled New Brunswick teen Ashley Smith. The federal prison service has applied for a sweeping publication ban at the coroner's inquest into the death of a troubled New Brunswick teen, which began Monday in downtown Toronto. The Correctional Service of Canada wants all exhibits presented at the hearings into Ashley Smith's 2007 death to be subject to the ban until the inquest ends and the jury makes its findings. Failing that, the agency has asked the presiding coroner for a publication ban on each exhibit until it's been dealt with. CBC's The Fifth Estate shares the story of Ashley Smith's harrowing life and the circumstances surrounding her death. The prison service has also asked that the faces of any of its officers be blurred in video footage presented to the inquest. Lawyers for the correctional service and for opposing media spent Monday morning tangling over whether presiding coroner Bonita Porter should even hear their arguments about the proposed ban. In the end, it was decided she would consider those arguments at a later date. Porter will oversee the inquiry into the death of Smith, who choked herself with a strip of cloth in a Kitchener, Ont., penitentiary in October 2007. Video evidence shows prison staff failed to respond immediately to the emergency, and an internal report commissioned by the correctional service concluded the 19-year-old's demise was likely an accident and not a suicide. The inquest has been contested since it was announced last May. The hearings were initially designed to looks at the last 13 weeks of Smith's life, but her family fought successfully to broaden the scope to the whole 11 months she was in federal custody. However, Porter has ruled she won't consider video tapes that reportedly show staff at a Quebec prison forcibly injecting Smith with antipsychotic medication against her will three months before her death. The family has appealed that decision, arguing the videos shed light on Smith's final act, which it characterizes as a desperate bid for attention to provoke guards to intervene to give her some stimulation in her isolation cell. But unless a panel of appeal judges rules soon, the footage won't be introduced as evidence. Smith was transferred between federal prisons 17 times in her last 11 months. She originally entered custody at age 15 in New Brunswick for throwing a crab apple at a postal worker. Bad behaviour inside juvenile detention escalated into her lengthy incarceration, often in restraints and in isolation, until her ultimate transfer into the adult federal prison system, where she was pepper sprayed and shocked with a Taser stun gun multiple times. "Ashley's story will never be truly understood as long as there is this myopic focus on the last day of her life in a cell, as if there wasn't the context that led to her desperate state of mind," Smith family lawyer Julian Falconer said in an interview. "From the family's point of view, this is becoming increasingly untenable." Smith's mother, Coralee Smith, has said she has been fighting for four years so that the truth can be known about the abuse she alleges her daughter suffered, but that now she has "completely lost confidence in this process." During her incarceration, Smith was choking herself and engaging in other self-harming behaviours, which only escalated as time ticked on, said Susan Chapman, who is representing the Canadian Association of Elizabeth Fry Societies at the inquest. At Grand Valley Institution in Kitchener, there were 49 incidents in seven weeks. Smith told a psychiatrist she knew staff would come in to rescue her when she choked herself, Chapman said, citing an internal 2007 report commissioned by the correctional service that concluded Smith's death was likely an accident and not a suicide. But, tragically, no one told Smith the rules had changed and guards had been instructed not to enter the cell, Chapman said. It is still unclear how long they waited before entering her cell that day.